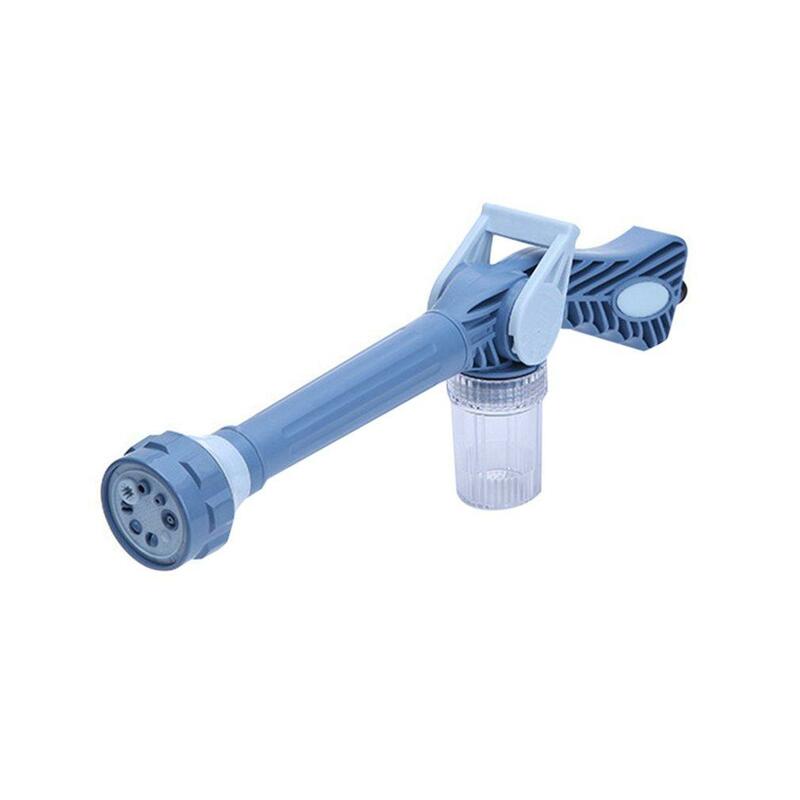 The multi-function spray gun combines the power of a pressure washer with the convenience of a hose in one easy-to-use design! 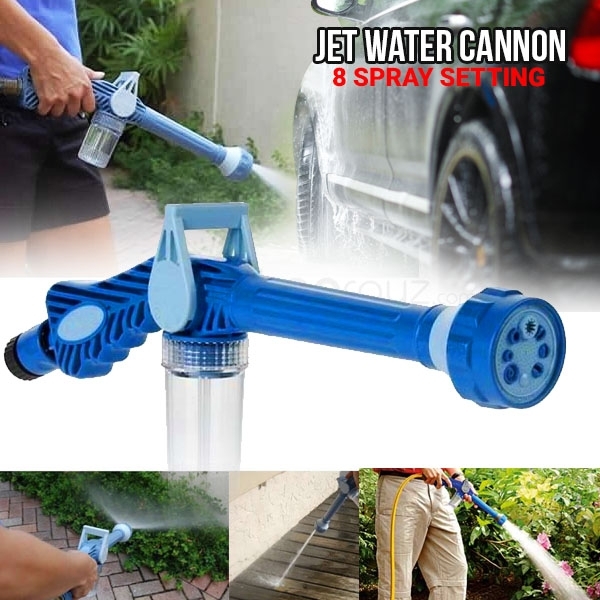 It attaches to any garden hose and features eight spray settings designed to help you get the right spray for every job! With the perfect pressure control you"ll always have the pressure and power right at your fingertips! 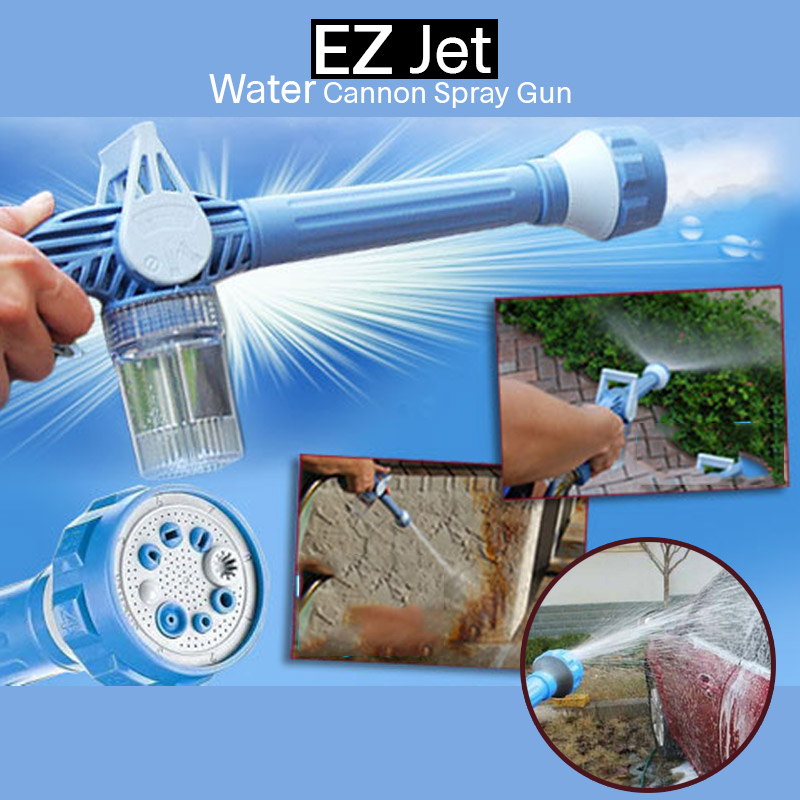 Features detergent chamber that automatically mixes your favorite liquid soaps cleaners or waxes you can wash and wax your car in just minutes with less hassle Can also be used for dispensing fertilizer No task is too tough for the EZ Jet Water Cannon!